Greatest American Hero will fly again! Classic Series Reboot on the way! 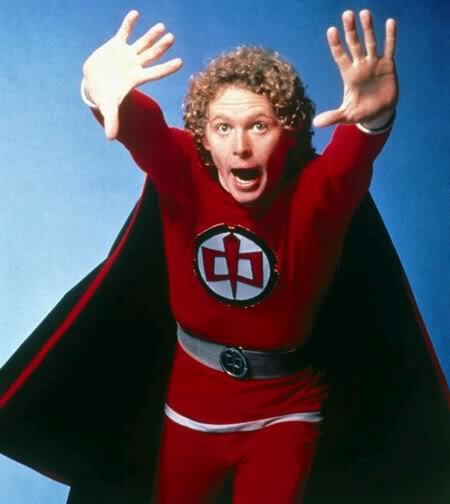 I grew up watching old reruns of Greatest American Hero which told the story of Ralph Hinkley, played by William Katt, a teacher who gets a suit that bestows superpowers. The show was camp, but it was also a lot of fun and full of kookiness. It sounds like we will be seeing the suit making a return to the small screen courtesy of Phil Lord and Christopher Miller, directors of this year’s 22 Jump Street and The Lego Movie. Personally, I think that, if anyone can get this project off the ground, it is these two. I have been a fan of their work, which pleases all kinds of fans. 21 and 22 Jump Street should not have been good. Neither should The Lego Movie have been. But they were. The two were also behind the immensely popular Cloudy with a Chance of Meatballs. As much as I believe that this show should return, I would like to see it as a reboot, with ties to the original, much like the new Dallas. I think the best way to show respect to a previous installment is not to ignore it, but that’s just me. So, goat herd, what do you think of Greatest American Hero returning, walking on air, and all that? Let me know.